LATEST UPSEE Counseling 2019 Update dated 15.04.2019: Good News !! This Year There will be separate counseling for Qualified Candidates for Central Entrance Exam like GATE, GPAT, CEED etc for PG Courses. 1st Round of UPSEE Counseling can start from 25 May, 2019 while 2nd Round from 06 June, 2019. Read full news from Image below..
AKTU has uploaded Merit List for Spot Counseling for BTech Admission in Govt Colleges & for Other Courses. UPSEE Spot Counseling will start from 06 August, 2018. 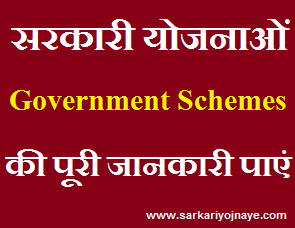 Download Merit List from link given below…. UPSEE 1st Counseling 3rd Round Seat Allotment Result has been announced Now. In 3rd Round, 29,495 Seats were allotted, Total 1.10 Lac Seats remain Vacant. Registration Fee for Direct Admission has been decided now. 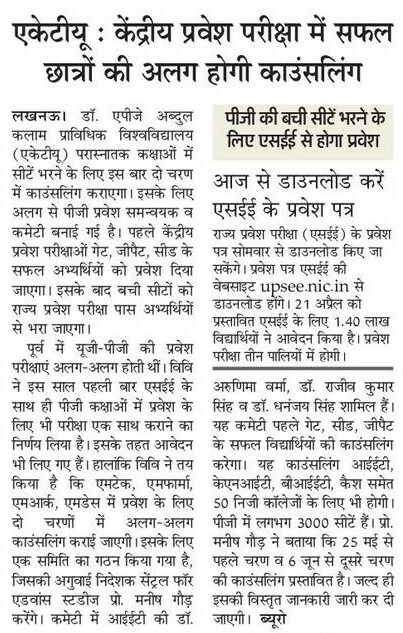 General/ OBC Candidates has to pay Fee Rs. 1000/- while SC/ ST Candidates has to pay Fee rs. 500/-. Read Full News from Image given below……Check Your Seat Allotment Result & Opening and Closing Rank 2018 from links given below…. 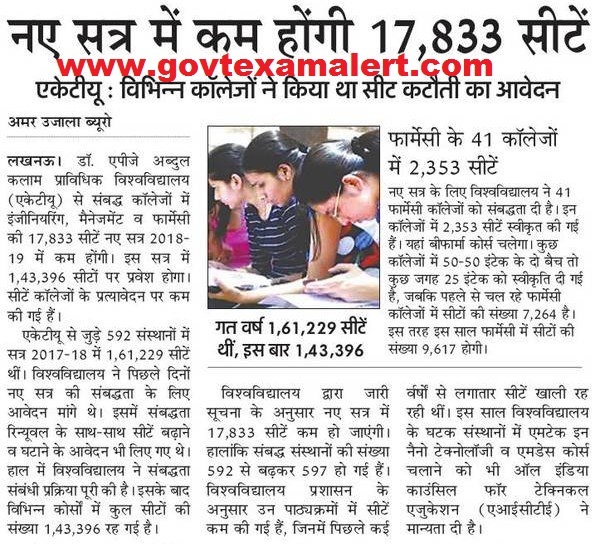 AKTU has decreased 17,833 Seats for Admission in Session 2018-19. Now Counseling will be conducted 1,43,396 Seats. Read Full News from Image below…. UPSEE Counseling will complete in 3 Rounds this time. Students has to pay Fee Rs. 12000/- (SC/ ST) & Rs. 20000/- at the time of Seat locking however Counseling Fee is Rs. 1000/-. Read Full Counseling news from Image given below………. Dr. A.P.J. Abdul Kalam University (AKTU), Lucknow will conduct UPSEE 2018 counseling for admissions Admission in Graduate Courses (B.Tech, B.Pharma, B.Arch, BHMCT, B.FAD) and Post Graduate (MBA, MCA, MAM) Courses in UP Government & Private Colleges. Candidates who have qualified in UPSEE 2018 will be eligible to apply and appear for the counselling of UPSEE 2018. UPSEE Counseling Dates : UPSEE Counseling will be conducted In 3 Rounds this Year. Counseling will conduct from 3rd Week of June, 2018. Detailed UPSEE Counseling Schedule has been announced Now. The students can download their Counseling Letter from Here Given below Download Link or also from following website (https://upsee.nic.in/default1.aspx OR http://www.aktu.ac.in/). UPSEE Counseling Process 2018 : Step by Step Procedure for UPSEE 2018 Counselling is given hereunder. 1. Registration, Registration Fee Submission, Documents Verification : Candidates first have to register for UPSEE 2018 Counseling. Then Candidates has to Pay Registration Fee Rs. 1000/- & then Upload their Documents. 2. Document Verification & Filling of Choice of Course and institutes: AKTU will verify Documents & candidates will be intimated to do their Choice Filling. Candidates be given two to three days time for choice filling. The candidate’s may fill as many colleges of their choice from their homes or any other convenient places having internet connection. 2. Security Deposit for Seat Allotment (Rs. 20,000/- for GEN/ OBC & Rs. 12000/- for SC/ ST). The security (REFUNDABLE) shall be deposited by Demand Draft to be issued in favour of Finance Officer, UPTU, Lucknow Payable at City Branch of Verification/ Counseling Center. Candidates who confirm the seat, only them have to pay the Fee. 5. Announcement of College Allotment: after the choice filling, the choices of candidates shall be processed and the announcement of college allotment shall made based upon their merit, reservations and choice priority. In UPSEE Counseling, Students can upgrade his/ het sheet by Floating in eah round based on Choice & Rank. Students also get chance to upgrade their sheets if any student leave his/ her sheet.